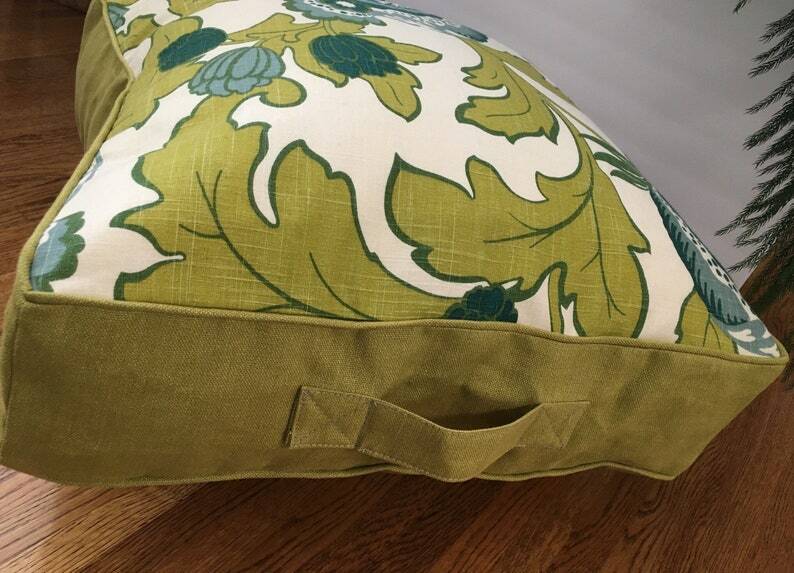 Lime green decorator fabric floor cushion, sized 25”x25”x5”. Zippered cover to allow for dry cleaning. Bean bag filler insert included. Corded/piped edges and sturdy handle add flair.